Today, November 24th only, Amazon is offering up to 50% off Ecovacs Robotic Vacuums! 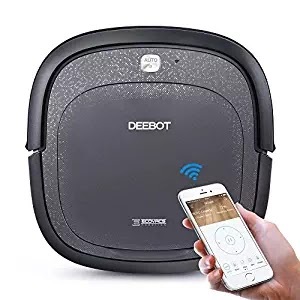 As just one idea, you can score this Ecovacs Slim Neo Robot Vacuum Cleaner for just $139.98 shipped (Retail $249.98)! This compact and low-profile vacuum (it's just 2.2-inches tall) is designed for hard surface floors and not carpets and uses a direct suction good for cleaning pet hair and fur, along with dust &amp; other debris. It comes with a remote control and batteries, four side brushes, one high efficiency air filter and one docking station. You can schedule and monitor cleaning sessions and receive alerts from your phone.